Looking to share your message with more of the world? Want to learn from industry leaders how to make millions as you change lives? 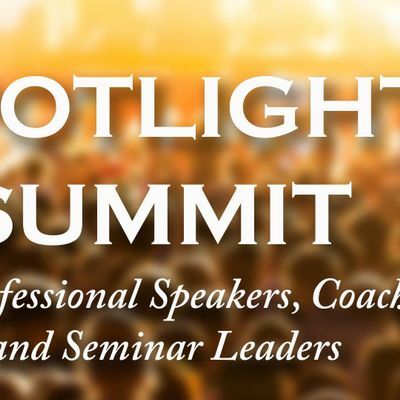 The Spotlight Summit is THE gathering place for professional speakers, coaches and seminar leaders of all levels to gather, learn, connect and collaborate. During this 3 day experience, you will learn from top industry leaders specific advanced strategies to help you spread your message further and wider, and to make more money in the process. PLUS, you'll also have opportunities to connect with other JV partners and opportunities that can be worth tens or hundreds of thousands of dollars! This day is focused on training you how to deliver your message in the most powerful and compelling way so that people want to follow you, listen to you, and buy from you. How to speak like a pro. Learn stage secrets from a Hall of Fame speakers and Seminar Leaders how to deliver your message in a compelling and authentic way. How to craft a compelling message. Explore how to hone in on the message that your audience is craving to hear, and willing to pay for. How to become a celebrity in your niche. Strategize on how to dominate your industry and become a highly sought after and extremely well-paid messenger. How to sell like a rockstar from the Stage. Discover the exact step by step process used by top speakers to generate millions per year from the stage. This day is focused on the fundamentals and advanced strategies to help you become a top income earner as you create extraordinary product and experiences for your audience. How to Package your wisdom in a way that people want to buy. Create your own customized business blueprint based on the top 10 different products you can use to share your message. How to share your message around the world with Online Courses. Learn first hand from the top trainer the pros and cons, the basics and advanced principles to design and build your own online course. How to make 6 FIGURES in a WEEKEND by running your own seminars. Learn from a pro, who has led over 26 seminars that have produced over six figures in 3 days, the specific formula to creating wealth through workshops. How to work less, make more and impact the world in a bigger way. Discover the secrets to building automated funnels and sales machines that allow you to make money and change lives even when you're not working. This day is designed so that you can be connected to the exact people and resources that will help your business launch forward in a big way. Stage Connection - Meet event producers who are actively looking for speakers for their stages. Success Panels - Hear unscripted insights from other top speakers and leaders on how they were able to overcome challenges and experience extraordinary results. 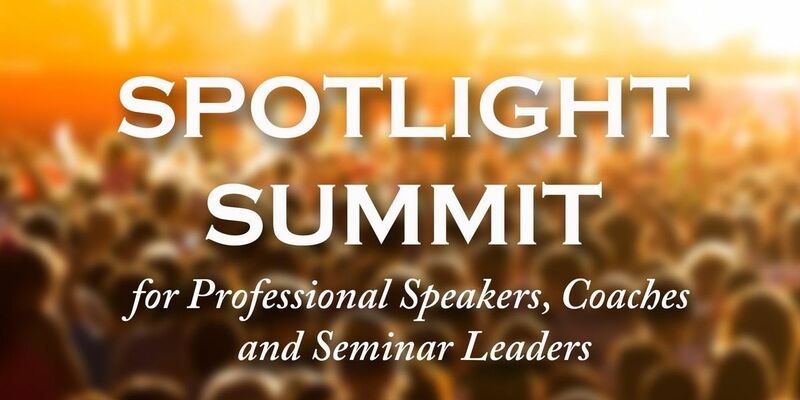 Speaker Spotlight - Join us as we Celebrate those that are making a big difference in the world. Allison H. Larsen is a Speaker, Media Coach, TV and Radio Show Host, Author of the Book Soul Intuition, Co-Owner of the Influencers Channel on Voice America, Founder of The Speakers Coalition and Owner of Speaker House Publishing. She is passionate about helping people with good messages reach the masses through stages and media. As one of the world’s leading Intuition Experts, Allison also inspires and transforms the lives of audiences and clients all over the world. As a master connector, she easily connects with audiences and finds great fulfillment in connecting her clients with amazing stage and media opportunities. Allison specializes in media training. She has made thousands of people stage and media ready by helping them to articulate their message in a way that is engaging, exciting and enrolling. Gerald Rogers is a transformational leader, speaker and coach that has trained thousands of individuals how to discover their purpose, step into their power and learn how to make their purpose-driven businesses profitable and LIVE BIG. In a mission to teach people how to create financial freedom while doing what they love and living their purpose. over the last several years he has led over 100 seminars, teleseminars and events. Lisa is an entrepreneur, a speaker, philanthropist and devoted mother. She grew her 5-figure solo-preneurship to a multi-million dollar company, which was recently ranked on Inc. 500 list two years in a row, landing in the Top 20 for women-owned businesses. Lisa is also known as the Queen of Sales Conversion. With University Degrees in Psychology and Education – and over 2 decades of experience, Callan has mastered the art and science of designing and delivering live and virtual, education-based events. The author of the best-selling book, “Wealth Through Workshops” - Callan is known and loved all over the world as the go-to resource on the topic. July Summer Camp for Kids!